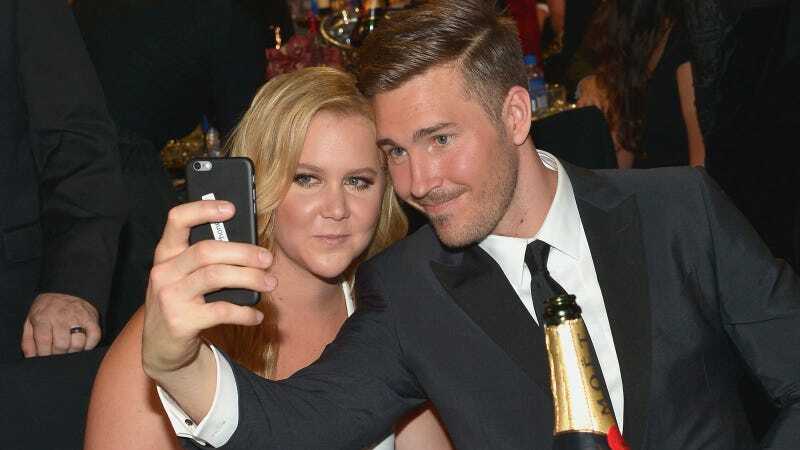 After over a year of dating, Amy Schumer and furniture designer Ben Hanisch have broken up. In a statement, Schumer’s rep said the two “ended their relationship after thoughtful consideration and remain friends.” That’s bittersweet, but it’s also totally predictable. Amy Schumer’s New Boyfriend Designs Furniture, But Is He an Aidan? From the moment Hanisch’s kind smile and brawny profession were revealed, it was clear that the relationship was doomed to failure. I hate to say this, but those two should have known their love would eventually end after a little more than one season. We can expect Hanisch and Schumer to reconnect and explore their lingering feelings for one another in a few years or so when she spots him in Abu Dhabi. “It was a real date,” a source tells PEOPLE exclusively. Here’s a segment from last night’s Late Show in which Brad Pitt and Stephen Colbert look up at the “stars” and ponder the universe. It’s not without its charms, but mostly it’s boring. If “The View debates Harry Styles not labeling his sexuality” is something that sounds good to you, click here.